The Carey Business School faculty produces thought-provoking scholarship that covers a range of academic disciplines, excels at crossing disciplinary boundaries and addresses society’s pressing challenges. Our faculty is composed of top academics along with a range of business professionals. Carey seeks to educate a new generation of leaders who will solve today’s problems and tomorrow’s challenges. Our courses combine theoretical building blocks with practical knowledge, using a variety of teaching methods including case study, experiential learning, simulations, and civic service. Johns Hopkins University has remained a world leader in both teaching and research for 140 years with a network of more than 215,000 alumni worldwide. The Carey Business School brings a business perspective to the proud Johns Hopkins legacy. 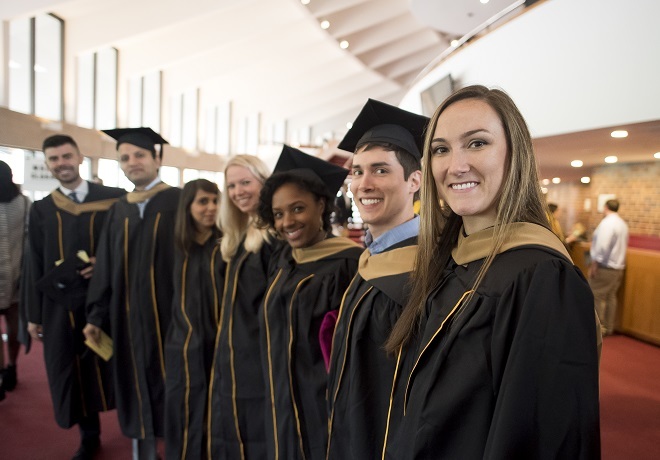 A photo gallery of images from the Carey Business School's Commencement Ceremony.